I love bars! I mean energy bars, the ones with oats, nuts, dried fruit, those delicious snacks that give you energy through the day. 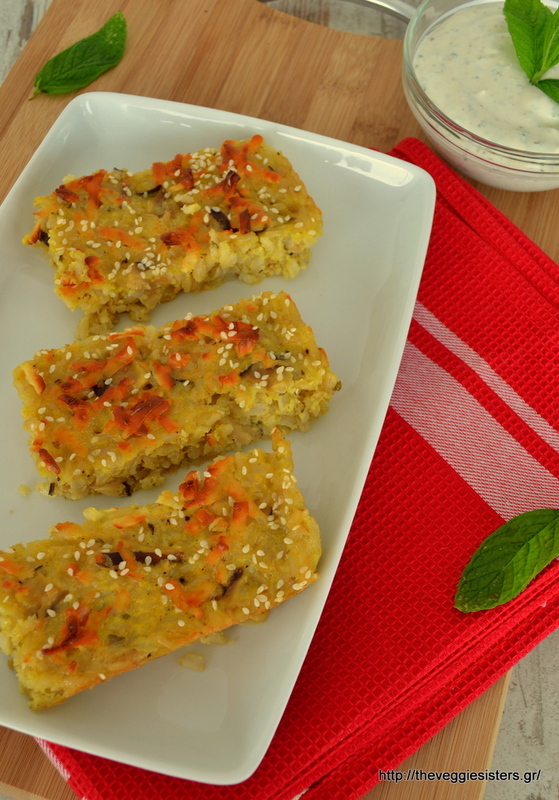 I came up with an idea: what if I tried to make savory bars? 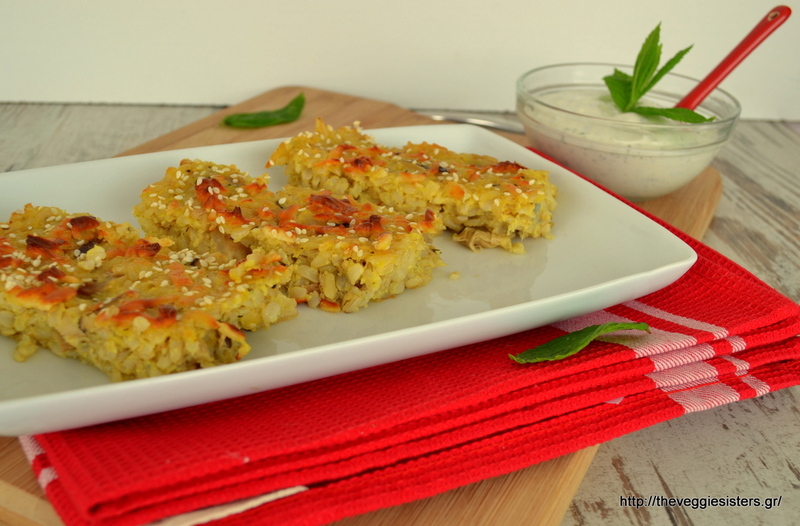 So this is how I cooked todays recipe: bars made of brown rice, mushrooms and a fantastic greek cheese, called volaki! Yummy!!! I used amazing greek products of Yoleni’s and the result was excellent! Soak mushrooms in wine for 2 hours. Drain and chop. Rinse rise and cook in boiling water according to package instructions. Add onion, garlic, olive oil and mushrooms. Season with salt and pepper. Drain rice and allow to cool. In a bowl combine eggs, cheese, oregano. Season with salt and pepper. Pour the egg mixture over the cool rice and stir well. Empty rice in a small square baking pan lined with parchment paper. 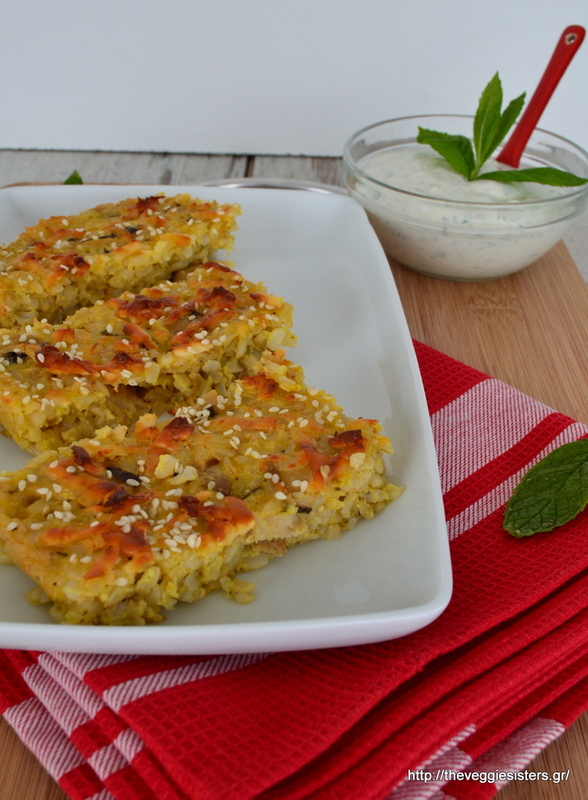 Top with sesame seeds and some more grated cheese. Bake in preheated oven at 180C for 30 minutes. Allow to cool before cutting. For the dip just blend all ingredients until smooth. Enjoy! 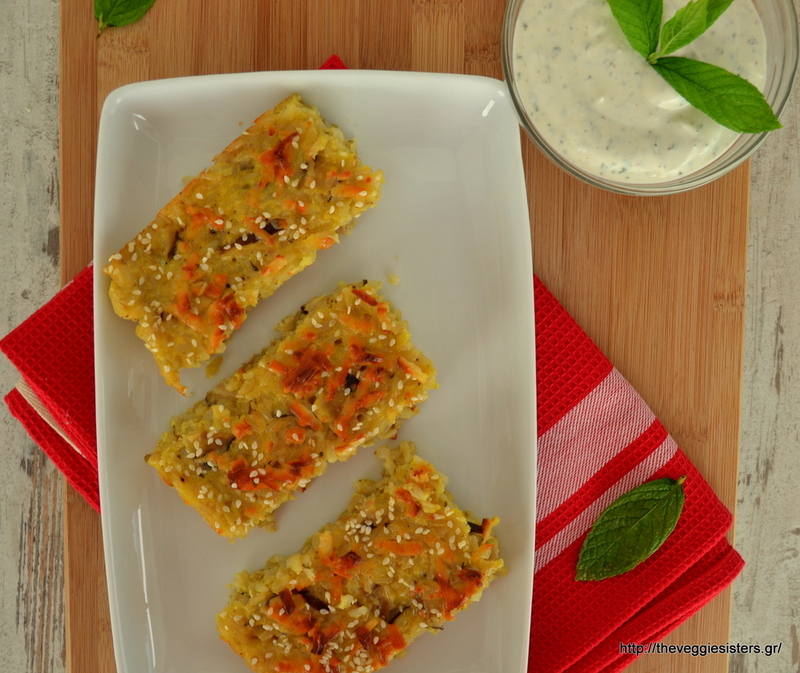 Share the post "Savoury rice bars and mint dip"